AirPROM (Airway Disease Predicting Outcomes through Patient Specific Computational Modelling) brings together experts and current research to build a multi-scale computational model of the lung as a new way of characterising asthma and COPD. U-BIOPRED (Unbiased BIOmarkers in PREDiction of respiratory disease outcomes) is a research project using information and samples from adults and children to learn more about different types of asthma to ensure better diagnosis and treatment for each person. NoTremor aims to provide patient specific computational models of the coupled brain and neuromuscular systems that will be subsequently used to improve the quality of analysis, prediction and progression of Parkinson’s disease. In particular, it aspires to establish the neglected link between brain modelling and neuromuscular systems that will result in a holistic representation of the physiology for PD patients. VERITAS aims to developed, validated and assessed tools for built-in accessibility support of ICT and non-ICT products under a holistic framework. The objective of the project was to introduce simulation-based and virtual-reality testing at all designing stages of assistive technologies products in 5 application areas: automotive, smart living places, workplace, health and wellbeing, and infotainment. 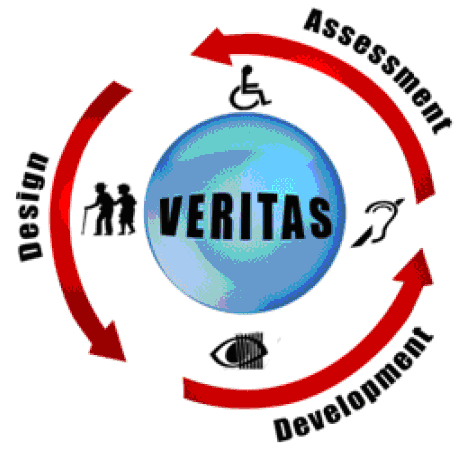 VERITAS wants to ensure that future products are systematically designed for all, including people with disabilities and older people and took the first steps to promote its results to the appropriate standards organisations for consideration and potential adoption. Patient Coach is an innovative self-management program for patients with asthma, COPD , hypertension and diabetes, aiming to improve their health at home. PatientCoach offers novel functionalities in order to help patients understand their symptoms, lung function and blood pressure levels. In addition lifestyle factors such as exercise or weight can be monitored and studied using interactive interfaces. So you can do it yourself, choose a goal and track your progress online. The aim of the MobiGuide project is to develop an intelligent decision-support system for patients with chronic illnesses. The system accompanies the patients wherever they go and helps them and their care providers in managing their illness, whether they are at home, at work, out and about or travelling abroad on holiday or for business. 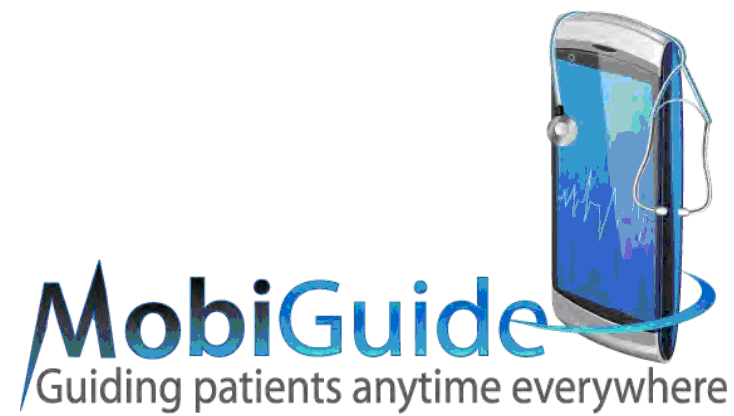 The MobiGuide project develops an intelligent decision-support system for patients with chronic illnesses, such as cardiac arrhythmias, diabetes, and high blood pressure. The patients wear sensors that can monitor biosignals (e.g., heart rate, blood pressure); the signals are transmitted to their Smartphone and from there to a powerful "backend" computer. The MobiGuide decision-support tools, which have access also to the patient's' historical clinical data, such as their hospital records, analyse the data, alert the patient about actions that should be taken, ask the patient questions, in the case that additional information is needed, and make recommendations regarding lifestyle changes or contacting care providers. All recommendations regarding therapy are transmitted to the patients' care providers. The recommendations are based on evidence- based, state-of-the-art clinical guidelines. During the project we intend to focus on the clinical conditions: atrial fibrillation, gestational diabetes and gestational hypertension. The European Asthma Research and Innovation Partnership (EARIP) aims to reduce asthma deaths in Europe by 25% within ten years and by 50% within 20 years. The partnership, made up of 12 European-based organisations, also aims to halve hospital admission rates, speed up the discovery of new treatments and improve self-management. The EARIP project will do this through identifying key gaps in asthma knowledge; it will then address these using a pioneering and integrated approach to research, development and innovation across Europe. 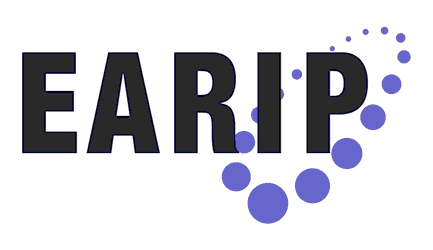 Through rapid dissemination of project results, EARIP will ensure that outcomes from knowledge-based asthma research will quickly result in an improved quality of life for people with asthma. MyHealthAvatar is built on the latest ICT technology with an aim of engaging public interest to achieve its targeted outcomes. In addition to data access, it is also an interface to access integrative models and analysis tools, utilizing resources already created by the VPH community. Overall, it contributes to individualized disease prediction and prevention and supports healthy lifestyles and independent living. It exerts a major influence on the reshaping of future healthcare in the handling of increased life expectancy and the ageing population in Europe. This complies with the priority and strategy of FP7 ICT for healthcare, and constitutes a preparatory action aiming at the grand challenge on a “Digital Patient”, which is currently the subject of a roadmap in the VPH community. 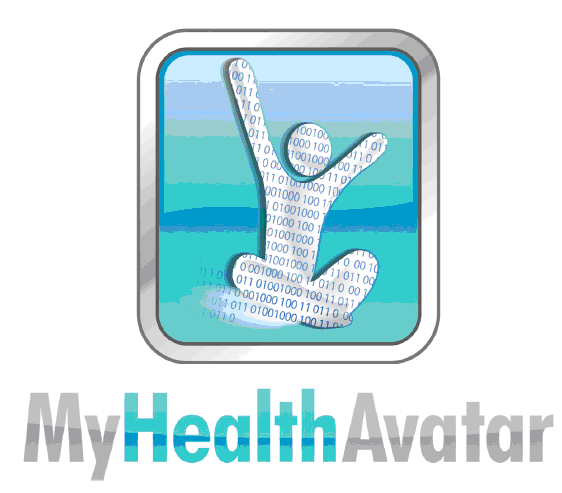 MyHealthAvatar places a special emphasis on engaging the public. It has huge implications to the society both socially and economically. A personal avatar can potentially change the way we think, communicate and search for information. Meanwhile, the acceptance of the avatars by the public opens opportunities for many industrial sectors, leading to the reinforced leadership of European industry. CHRONIOUS addresses a smart wearable platform, based on multi-parametric sensor data processing, for monitoring people suffering from chronic diseases in long-stay setting. It is constantly monitoring their activity using audio observation methods and activity sensors while at the same time tracking their medical condition via vital signs sensors. Any trait of abnormal health status and possible alerting incidents are detected by CHRONIOUS Intelligence. The system generates alerts in case of invalid medical data or if current activity and behaviour lay outside the well established activity patterns and locomotion behaviour. CHRONIOUS proposes an adaptive and ubiquitous chronic disease management system that offers continuous monitoring to patients by using several sensors either in a form of a wearable solution or scattered in the patient’s living environment and a series of intelligent services to healthcare providers and organisations that aid them in the monitoring of their patients. An overarching goal of the proposed system is to underline and emphasize the partnership between technology-centred and human-centred sciences as technologies for sensing, computing and communications become increasingly ubiquitous. CHIRON is a European Research Project co-financed by the ARTEMIS Joint Undertaking (call 2009 – Artemis Sub-program ASP2: Person-centric Healthcare). The CHIRON Project combined state-of-the art technologies and innovative solutions into an integrated framework designed for an effective and person-centric health management along the complete care cycle. CHIRON aimed to harmonize the needs and interests of all the three main beneficiaries of the healthcare process, i.e., the citizens using the services, the medical professionals and the whole community. Furthemore, CHIRON enlarged the boundaries of healthcare by fostering a seamless integration of clinical setting, at home setting and mobile setting in a concept of a continuum of care. Patient empowerment enables patients to take an active role in their own healthcare provision which allows them to stay easily informed and ‘self-manage’ their own health services. In the context of an ageing population and increasing number of chronic patients, patient empowerment is a key tool to reduce healthcare costs and improve quality and efficiency of the health delivery process. PALANTE seeks to empower patients so they are able to make informed decisions about their health, take an active role in their care and collaborate effectively with their healthcare team through the use of information and communication technologies. EMPOWER supports the self-management of diabetes patients through a modular and standards-based Patient Empowerment Framework. It helps sufferers of diabetes with observing daily patterns of living and with managing personalised action plans. EMPOWER develops a modular and standard-based Patient Empowerment Framework which facilitates the self-management of diabetes patients based on PHRs and on context-aware, personalised services. EMPOWER focuses the research and development efforts on a patient-centric perspective that also involves healthcare professionals. 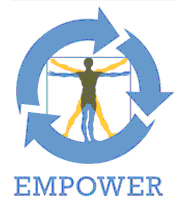 EMPOWER provides knowledge-based Self-Management Pathways for diabetes patients and this includes: (1)services for the specification and execution of actions to change behaviour according to diabetes-specific health care needs and (2) services for monitoring of vital, physical, mental parameters as well as physical and lifestyle activities based on health standards. EMPOWER addresses long-term goals and short-term activities in order to facilitate the self-management of patients with diabetes and thus the treatment of chronic diseases. The pilot applications in Germany and Turkey demonstrate that the holistic and patient-centric approach of EMPOWER can improve disease management by personalised self-management services helping diabetes patients to cope better with their condition. Psychological stress contributes to many chronic diseases suffered by citizens in today’s society. Exposure to prolonged stress is known to increase the risk of physical and mental health problems, including depression and disabling anxiety conditions. In particular, work-related stress is becoming a major occupational health problem: 80 % of the working population across Europe think that the number of people suffering from job-related stress over the next five years will increase. The economic impact of stress is also huge: in 2002, the annual economic cost of work-related stress in the EU was estimated at EUR 20 billion. The INTERSTRESS project aimed at developing innovative ICT-based solutions for addressing the problem of psychological stress in professional and social life. From a technological standpoint, the project involves a combination of virtual reality, non-invasive biosensors and mobile tools to provide personalised healthcare devices for stress prevention and management. The specific objectives of this approach are: (1)quantitative and objective assessment of symptoms using biosensors and behavioural analysis; (2) decision support for treatment planning through data fusion and detection algorithms; and (3) provision of warnings and motivating feedback to improve compliance and long-term outcome. The aim of the REACTION project was to develop an integrated ICT platform that supports improved long term management of diabetes based on wearable, continuous blood glucose monitoring sensors and automated closed-loop delivery of insulin. The REACTION platform presents an interoperable peer-to-peer communication platform based on Service Oriented Architecture (SoA) using cloud-enabling midddleware. It will feature a Model Driven Application Development environment based on extensive use of dynamic ontologies. The REACTION platform provides integrated, professional, management and therapy services to diabetes patients in different healthcare regimes across Europe, including 1) professional decision support for in-hospital environments, 2) safety monitoring for dosage and compliance, 3) long term management of outpatients in clinical schemes, 4) care of acute diabetic conditions and 5) support for self management and life-style changes for diabetic patients.